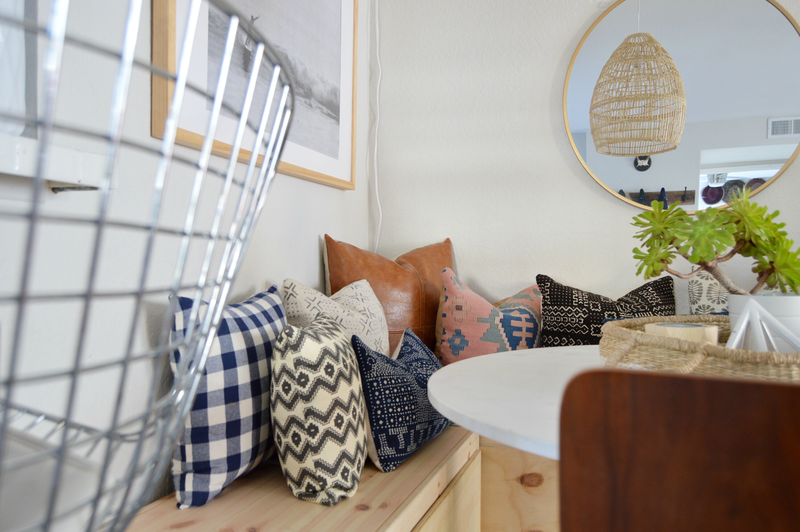 If you follow me on Instagram then you know how much I love this little nook in our home. This particular spot has gone through many transitions over the four years that we’ve lived here. At first it was my office corner, then a play area with a teepee and everything and then one day I decided to move our kitchen table to this spot. It hasn’t looked back since. 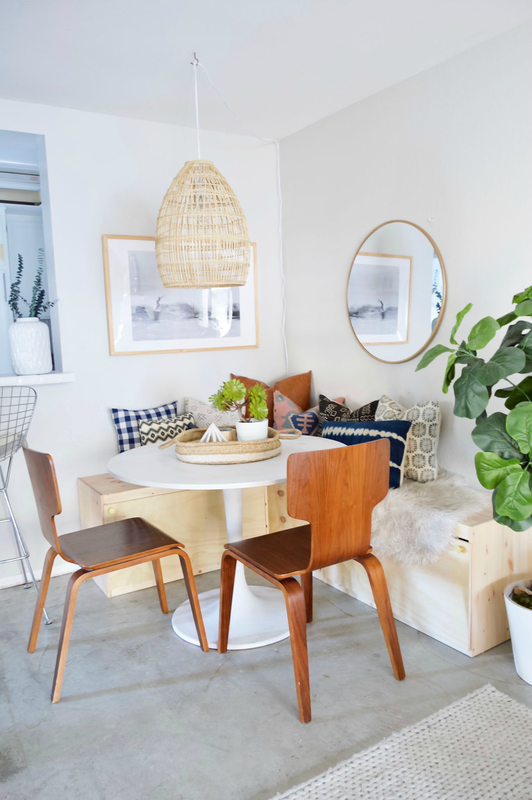 While I loved having our Ikea table in this corner with our four stackable West Elm chairs, something just didn’t feel right. It felt like I just plopped a table in this corner and said “hey, you’re going to be our eating area, deal with it.” In all actuality it was missing something and it took me awhile to figure out what. 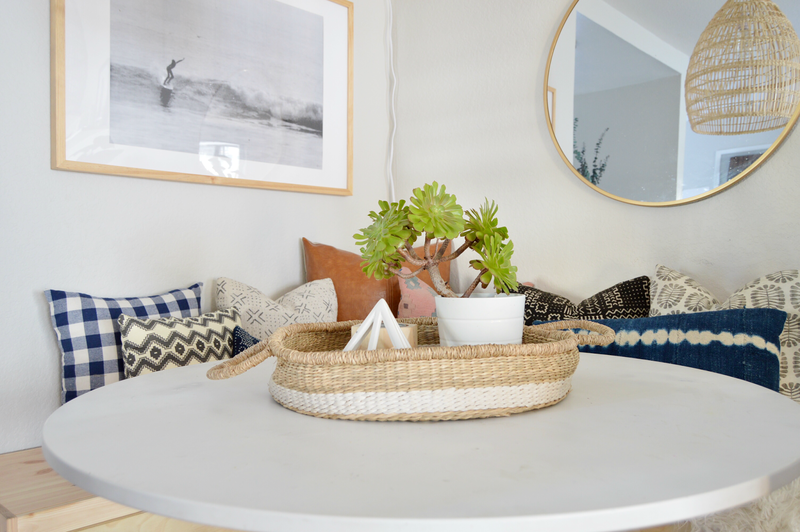 Enter our Ikea hack to make bench seats and hidden toy storage. This has been the best decision we have made for this little home of ours. It really was pretty simple. We purchased the Trofast benches from Ikea with white bins and then bought some plywood from Lowes to add some doors because no one wants to stare at a bunch of toys, am I right? We simply cut the plywood to size, added some hinges and some gold knobs from Target and voila…pretty seating. 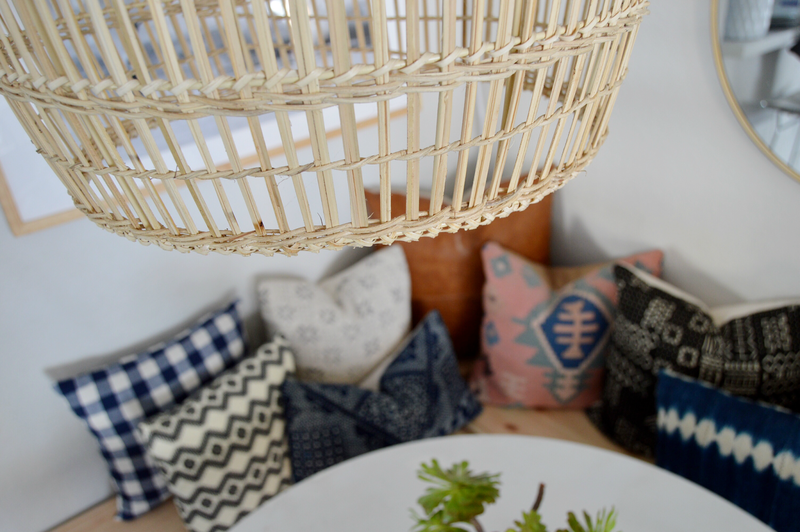 And what’s an eating nook without a whole lotta amazing pillows?! I’m a pillow lover through and through, always have been and always will be. I absolutely love supporting small businesses when it comes to pillow purchases. 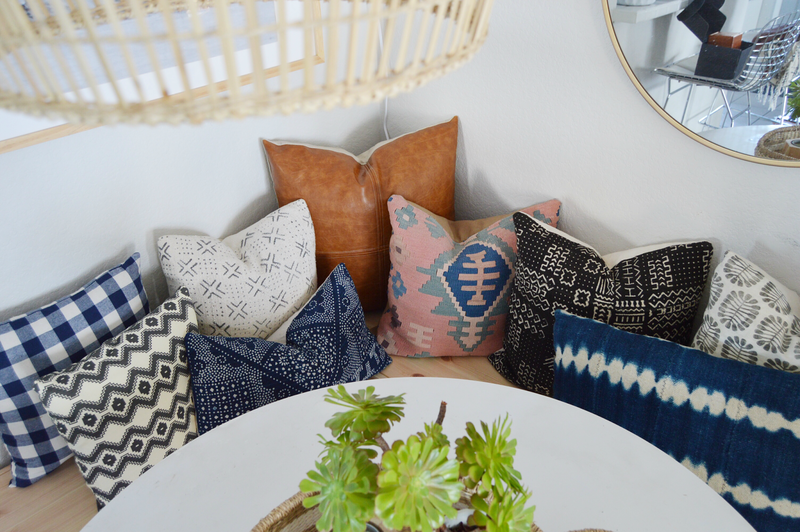 At this space alone I have pillows from four different small businesses…. I also have a plaid pillow from Target, a handsewn pillow from moi and the pink Kilim pillow is a one of a kind from a Etsy seller in Turkey. It’s a full blown pillow party with all my favorites. Now go shop their stores and tell them I say hello. And we all know you’re probably visiting Target today, so give it a big ol high five for me. Great idea! It all vans together nicely. Hi there! Absolutely love this IKEA hack! 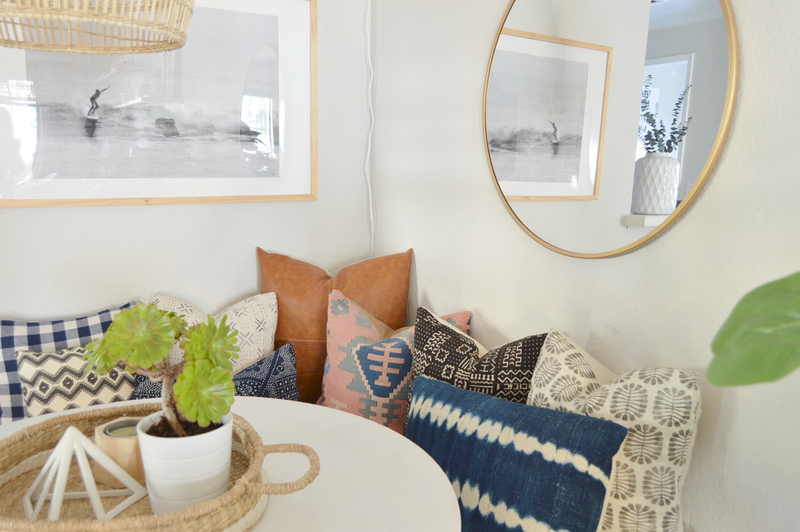 I’m in the same situation and a banquette with storage would be a huge help! Would you share how many benches you purchased? Hi Sarina…we used three benches. The one in the corner is partial blocked by the other one. It’s been a great storage solution for us!